The Mission Office Chair is recognized for its comfort! It is one of our most popular designs and goes well with a variety of styles and decors. The Mission Office Chair is built for for comfort with a 5-Star base for added stability, and a gas lift, tilt lock, and knee tilt all in one mechanism. This product takes between 6-8 weeks for completion. Amish Office Desk Chair Desk chairs need to be comfortable and sturdy and our Amish handcrafted office desk chairs are the perfect choice! 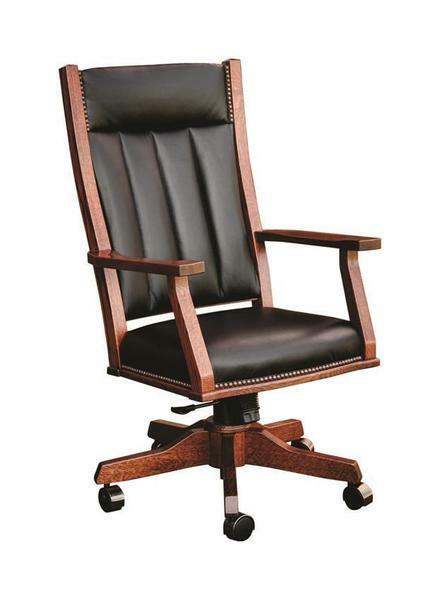 Our office chairs and desk chairs will also provide you with a stylish choice. 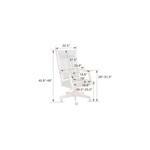 Our ergonomic office desk chairs take care of your health as well! Our Office Desk Chairs will make working long hours comfortable. Overall Height: Adjusts from 43"-47"